Wilkes Graham of Compass Research stated on Thursday that the “Hope Trade” could result in a 10 to 20 percent upside potential. The “Hope Trade” refers to an annual occurrence where investors acquire shares of Homebuilders late in the year in anticipation of strong home sales in the following spring. Since October, the Homebuilders sector has traded from 125 percent of book value to 150 percent of book value, reversing the sell-off from 150 percent down to 125 percent over the previous month, Graham notes. Graham adds that the sector has traded 37 percent higher on average over the past three Hope Trade periods from November 12 to February 6. Homebuilding stocks have risen only 25 percent since October, implying an additional 10 to 20 percent upside in the upcoming Hope Trade period. 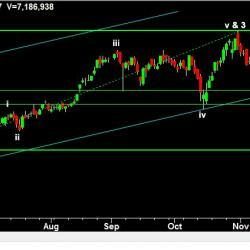 Celgene Is Up 22% Over The Past Month; What Do Technicians Think?